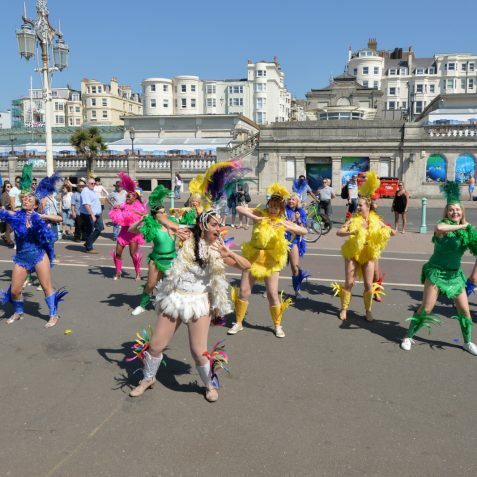 The group you see here were gathered together to raise funds to cover special treatments for their friend Amanda Bowen who has cancer. 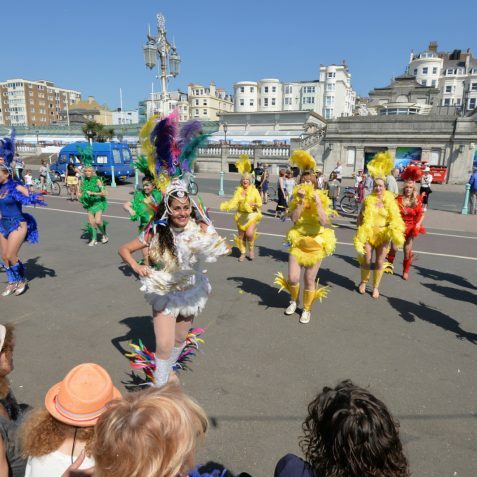 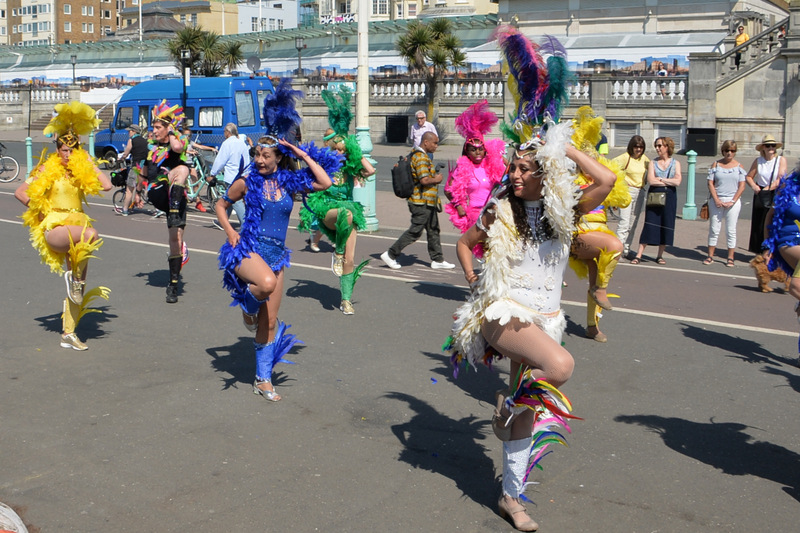 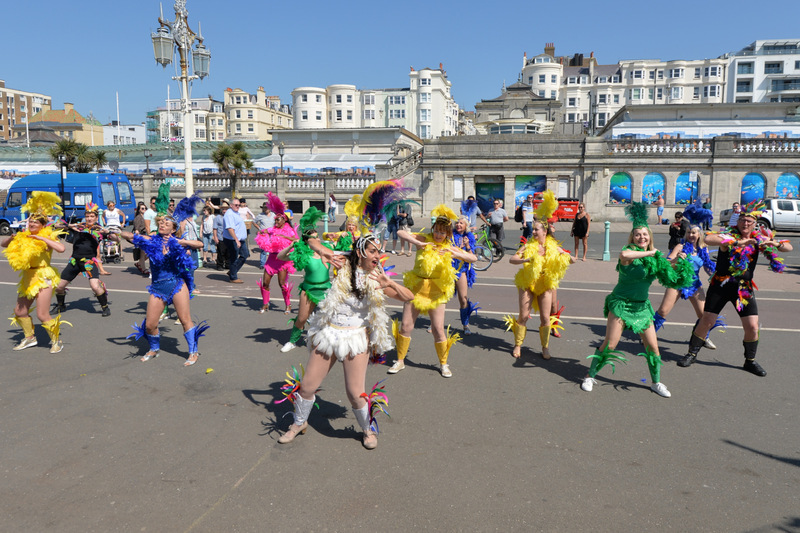 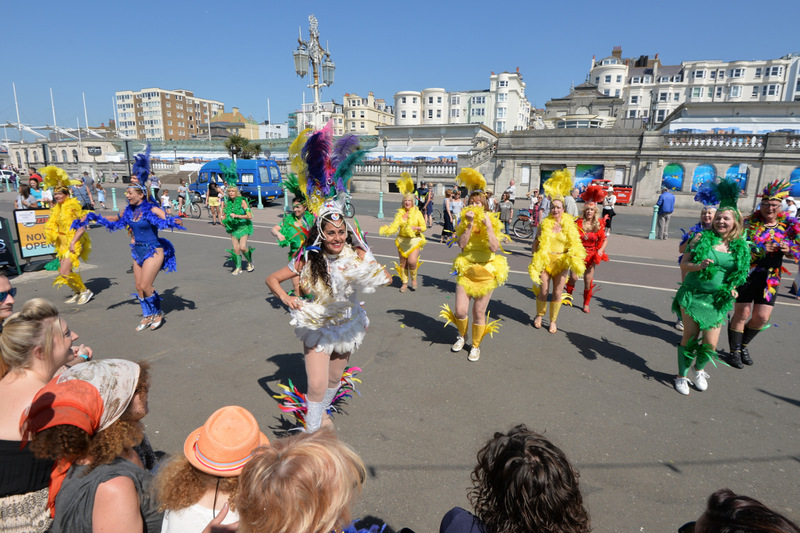 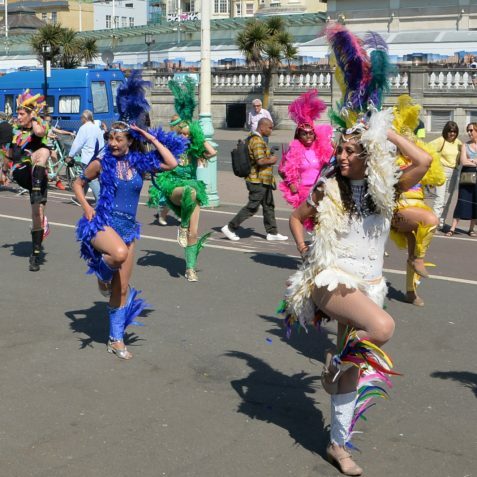 In wonderful colourful, costumes, they gave a spirited dance routine which was well received by the crowd. 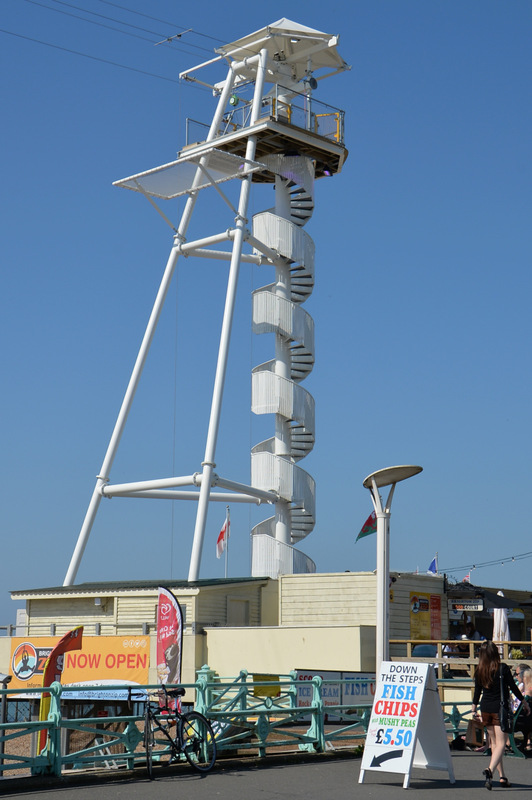 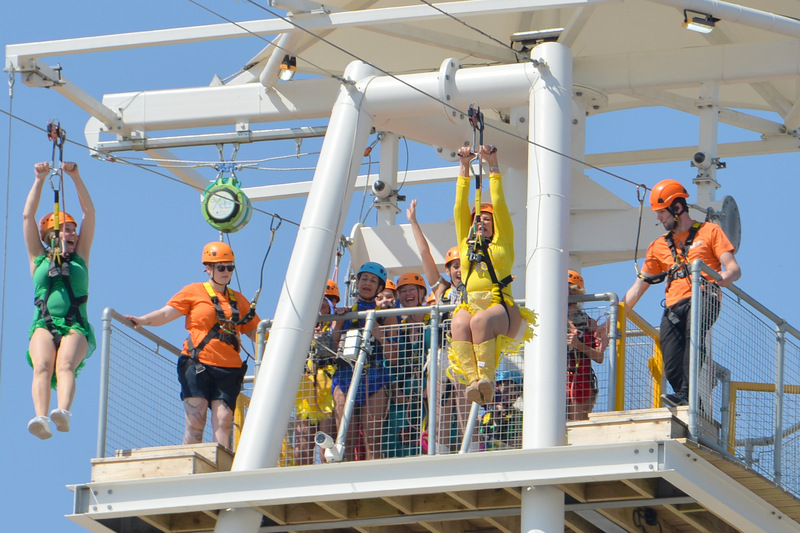 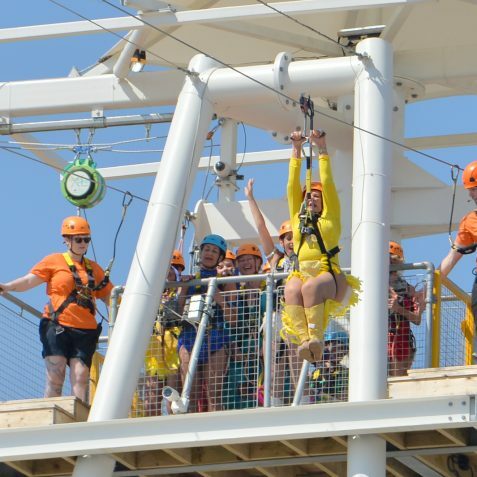 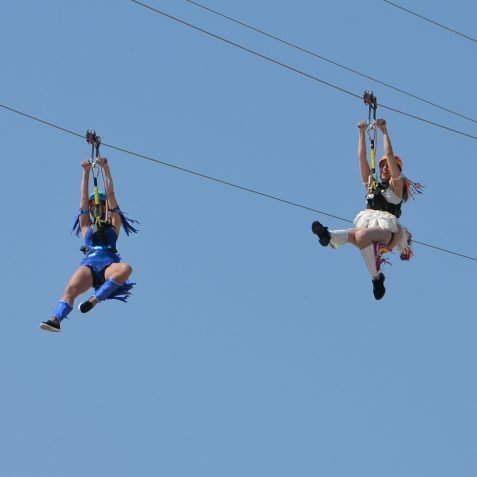 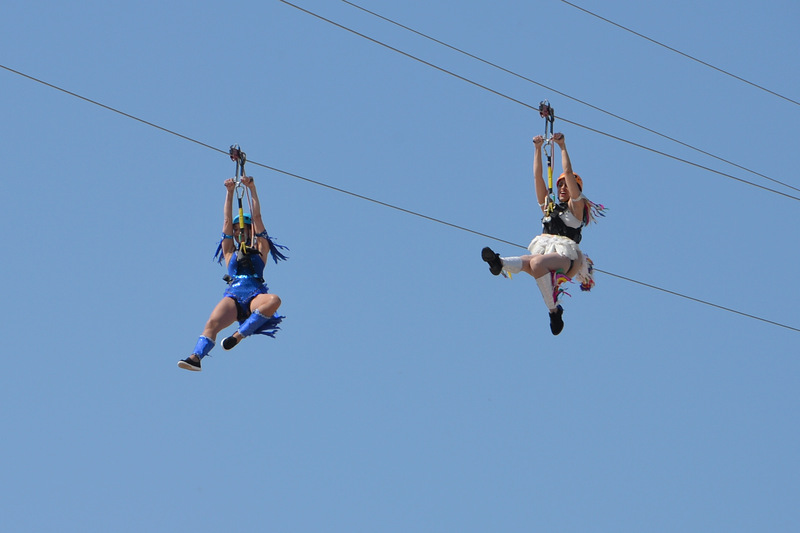 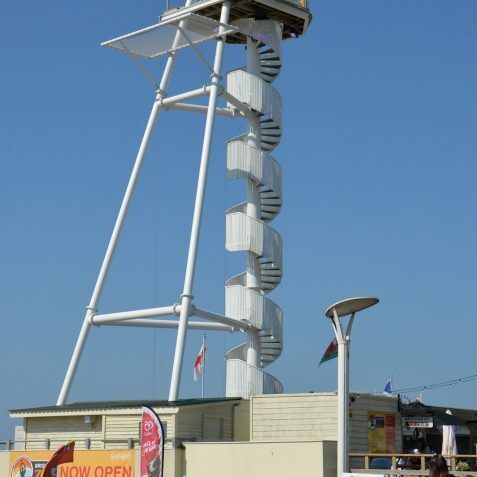 The bravest of the group took on a sponsored ride down the Zip wire on Brighton seafront. 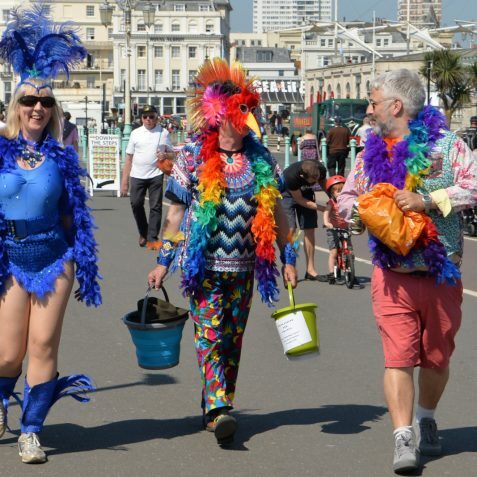 Others from the group had obtained permission from the council to make a public collection towards the fund. 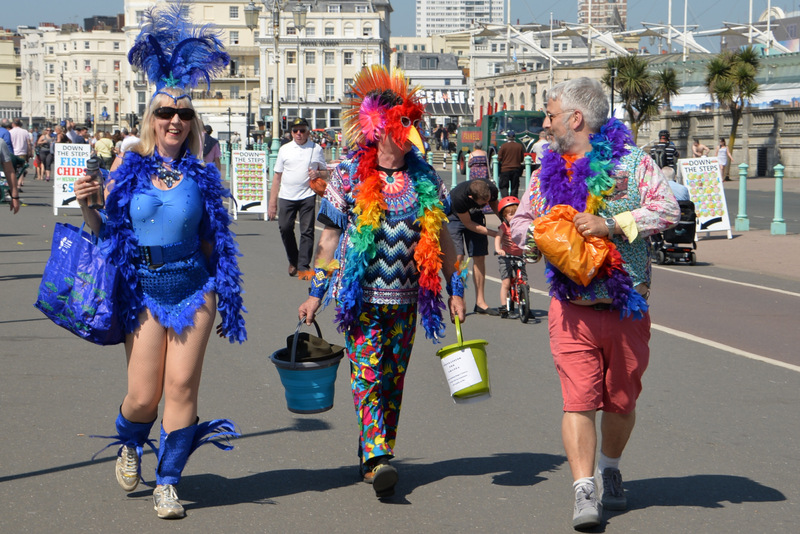 Thankfully the weather was kind to their efforts for Amanda; you can read about her here.